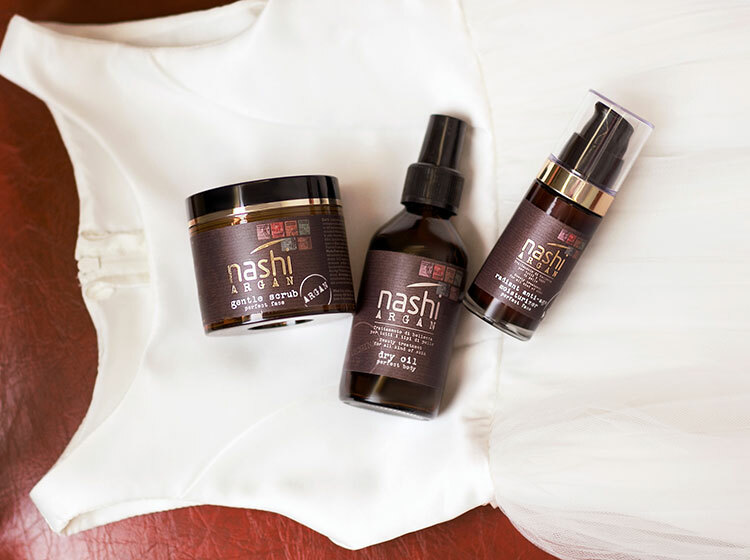 Nashi Argan Radiant is the most efficient and versatile anti-aging face cream! Its preparation donates uniformity, hydration and a natural brightening effect for all types of skin. The perfect non-greasy day-night cream which rapidly absorbs; you can use it as make-up primer. You will be amazed from the very first application, with an immediate lifting effect! 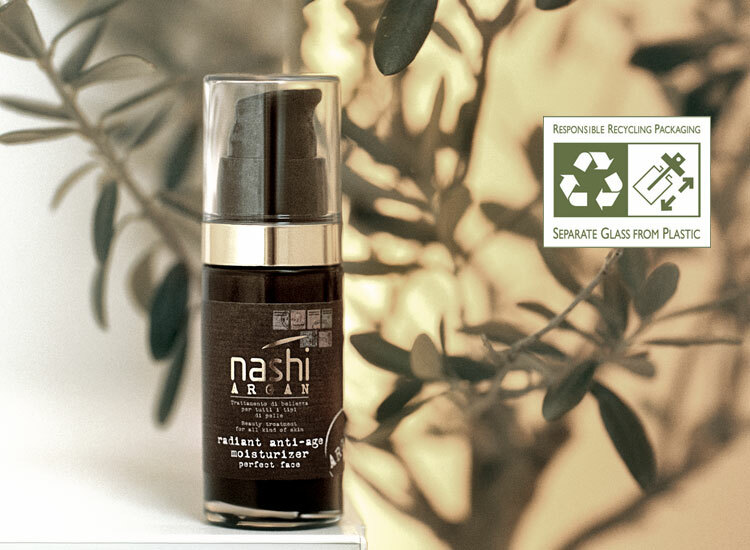 Organic Argan Oil: rare and valuable ingredient due to a long and laborious processing. 40 kg of the fruit of Argania Spinosa are necessary to produce one litre of oil. It stimulates the vital functions of cells, and deeply restructures and hydrates. High in Fatty Acids, it carries out an intense nourishing action, thus preserves an elastic and compact skin and contrasts the signs of skin aging. 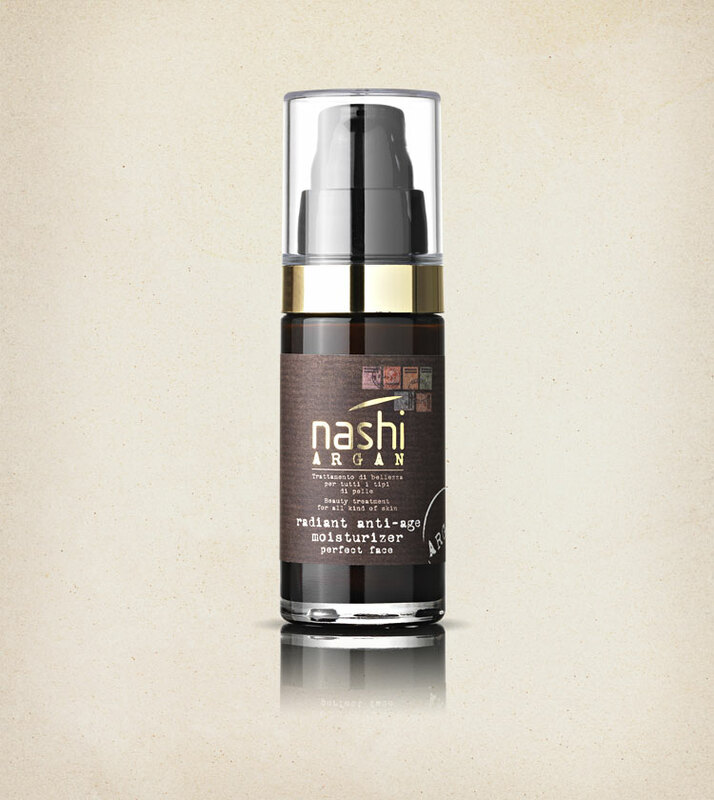 Amaranth Oil: stands out for its high antioxidant power. It is particularly appreciated as active ingredient that improves the resistance of the skin. Hyaluronic Acid: preserves the hydration, plasticity and viscosity of skin tissue. Phytosqualane: boasts valuable emollient and nourishing properties that prevent wrinkles and dryess. Hamamelis water: hydrates and refreshes. UVA and UVB filters: protect the skin from solar exposure, contrasting skin aging which is caused by the sun.